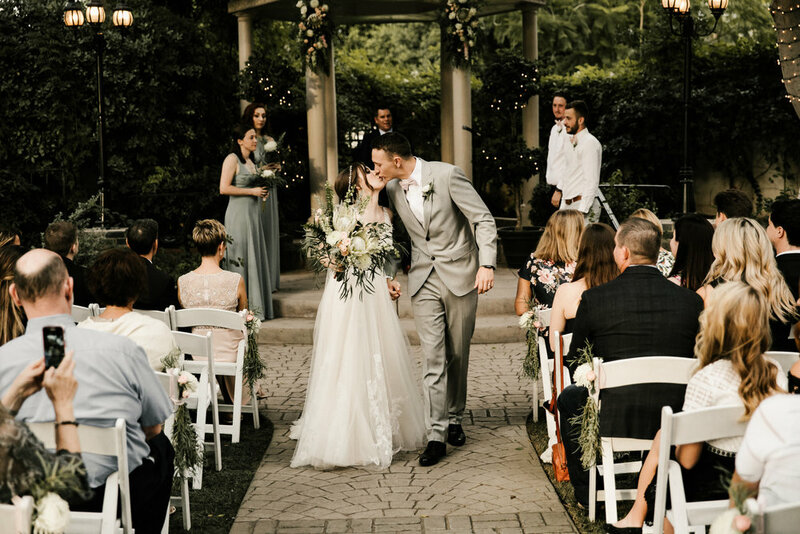 An outdoor wedding can be one of the most beautiful types of weddings out there. 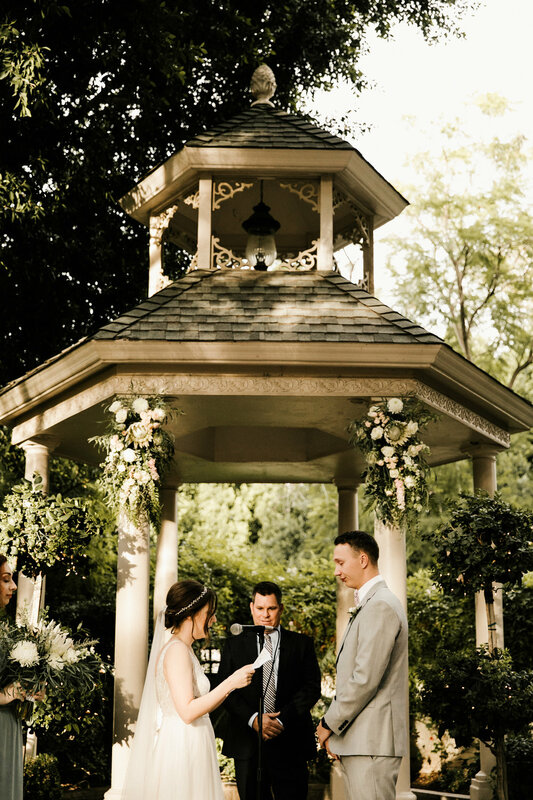 Being able to say your vows as you are surrounded by the beauty of nature just adds that extra level of romance to the day. Obviously when you picture the day in your mind, you think of gorgeous sunny weather that is warm and comfortable, but unfortunately, no-one can control that aspect of the wedding. That is why it’s imperative you have a backup plan for outdoor weddings. Look at the weather patterns from years pass - We know February can have odd showers but in Arizona late March and April have perfect sunshine. So pick a date with better karma! When choosing the venue or location, think about a backup plan with indoor space or at least sheltered space in case of bad weather. This could mean renting a tent or moving to an indoor space at the location. Key thing is have a plan! Is is too cold or too hot? Have space in your budget to add heaters or portable A/C units to the location. Wind? Yes, sometimes the wind can effect your beautiful guest tables set up for a reception. 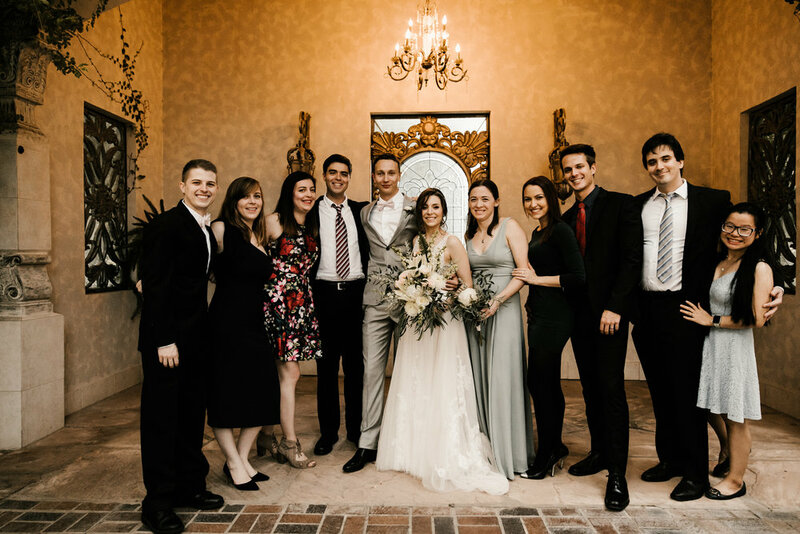 Plan on having staff prep tables right before guest transition from wedding to reception. Also, consider LED candles instead of real ones. Also, think about having a sturdy center piece that can deal with a little wind. Depending on how rustic the outdoor venue is, there may not be proper, or enough, washroom facilities on-site. If that’s the case you can actually rent portable restroom trailers that feel every bit as luxurious and spacious as an indoor washroom. Also, think about other accommodations that would be nice to offer your guest sitting outside. A basket full of blankets are nice for guest to grab as they take their seats outside. Bug spray in the bathrooms can help with any mosquitoes issues. Make sure to have plenty of water accessible and easy to find for guest as they wait for the ceremony to begin. Provided lots of shaded areas to sit for guest who do not want to be exposed to the sun during ceremony or reception. Or purchase in advance white paper umbrellas for guest to take. A hand folding fan passed out with programs can go a long way on a warm sunny afternoon. While the surrounding nature will obviously act as the main decor, it’s also wise to think about additional items that you can use. With just a couple of simply added touches such as potted plants, lanterns, strings of lights, etc. it will look truly spectacular. At The Wright House we like to keep it simple for our brides since our outside gardens are breath taking. We suggest minor decor to help bring out the theme or personal touch of the bride and groom. 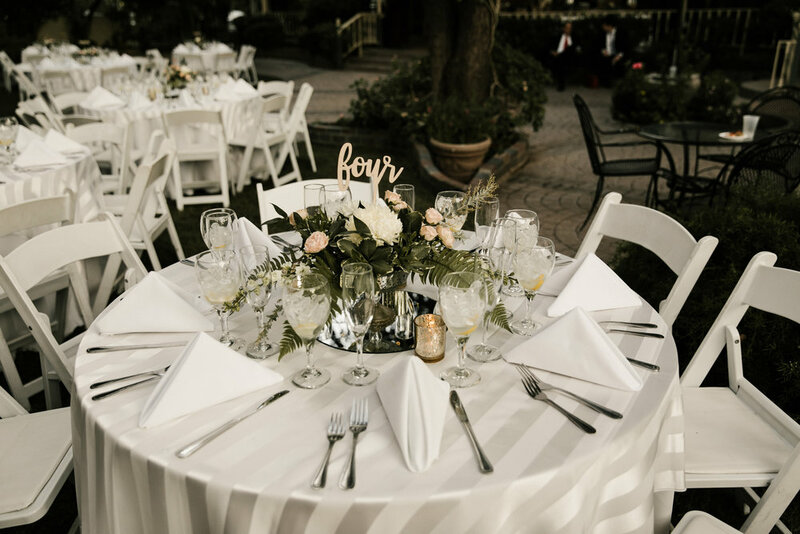 A ceremony program with touches of green and floral goes well with a garden wedding, plus it helps keep your guest informed of the evening plans. When thinking about a “sign-in book” consider using wood heart pieces, where guest sign and insert into a shadow box. The heart shape wood pieces, will help bring in the natural elements into the wedding decor. Another favorite is the thumb stamp onto a canvas tree. We love the feel of wood rounds, and lot of greenery to be used on guest tables as center pieces or used on the buffet table as decor. Because the outdoors isn’t really known for level terrain, it’s a good idea to give your guests a heads-up regarding footwear. Suggest that people opt for flats so that they get a better footing as they walk around. You can word it as, Lawn friendly footwear. One thing we love when our brides provided flip flops for guest to use as the night progresses. 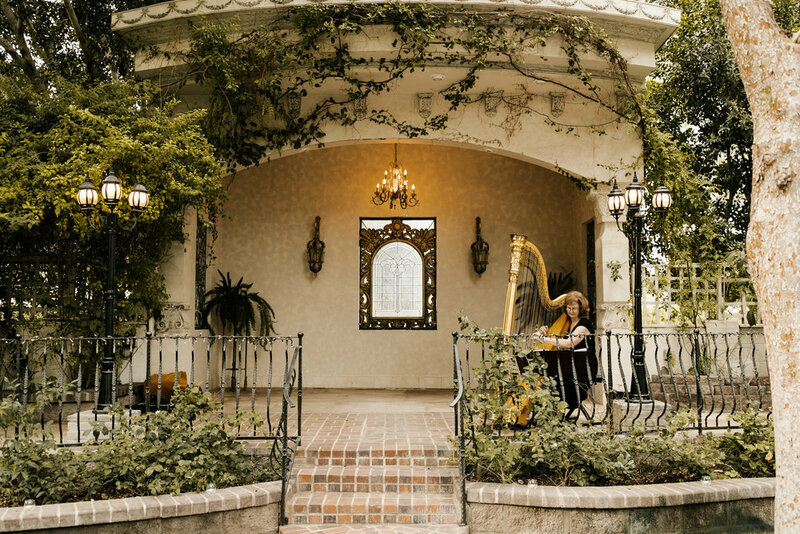 Yes weather is the probably the largest concern for any out door wedding but consider adding any or all of the other tips to help make the night perfect for your guest.